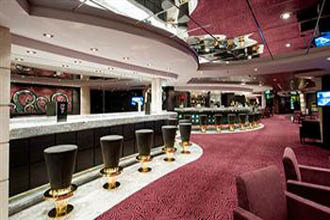 Enter into a stunning three-deck atrium when you board the 95,128-ton, 3,223-guest MSC Magnifica and you will know why her name means "magnificent." 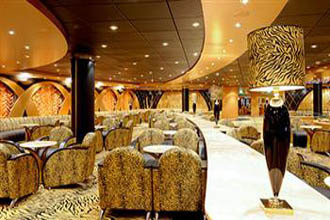 The swanky area is adorned with etched glass, gleaming brass and polished tiles that showcases a backlit two-level waterfall that sparkles under an LED-lit ceiling of stars. 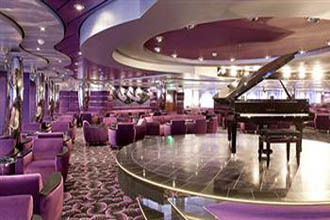 The Musica Class ship offers a modern Italian cruising experience in an opulent yet fun atmosphere. Boasting lots of great amenities for everyone in the family, you can choose to be as laid-back or as active as you like. 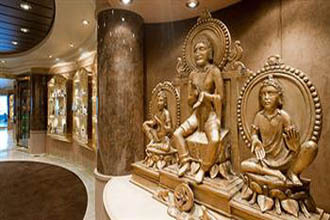 Head to the tranquility of the spa with two ornate Turkish baths (one for women, one for men) and three whirlpools that face a wall of glass for sea views, as well as a fitness center and beauty salon. 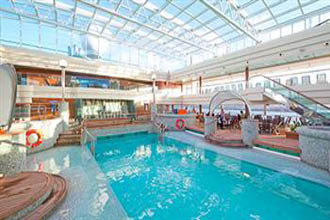 Soak up the sun in the solarium, take a dip in the three swimming pools, one with a retractable roof. Play tennis, basketball and go jogging on the track. 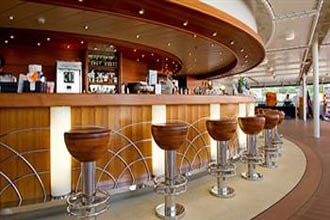 Enjoy the many chic bars and lounges, both indoors and outdoors. A pianist regularly plays in the atrium on a beautiful transparent baby grand piano. 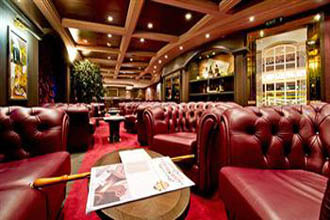 A sports bar boasts large TV screens and cigar aficionados have a clubby-style room just for them. 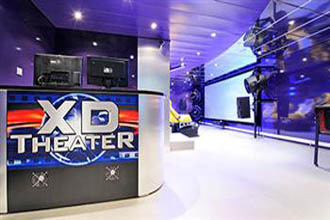 Kids will love their fun area that was designed as an "underwater world" playroom with a huge octopus and submarine fixtures. Lots of games, arts and crafts, puppet shows, pizza parties and more are featured. They can also enjoy an enclosed outdoor area with a wading pool and a tube slide, while teens are sure to want to spend time at the video arcade. There are plenty of youth programs available for them choose. Mediterranean classics and other delicious dining choices are served at the two main dining rooms. 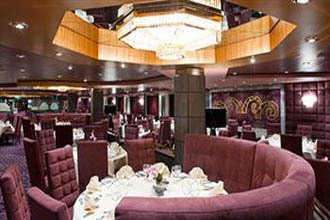 Quick lunches are served at the buffet with dishes from around the globe. 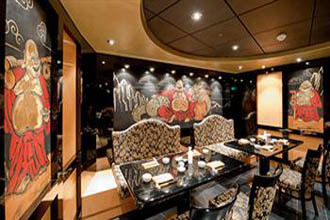 Asian food will melt in your mouth at the specialty restaurant where you can savor dim sum. Room service is available 24/7. 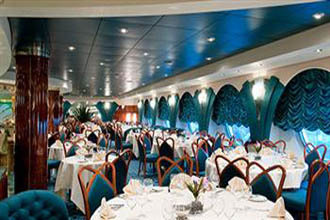 Select from stunning Interior and Oceanview Staterooms, all with interactive TV, telephone, mini-bar, safe and hair dryer. 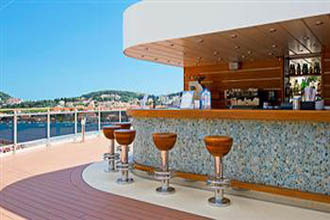 Stunning Balcony Staterooms also feature double beds that can be converted to two singles. 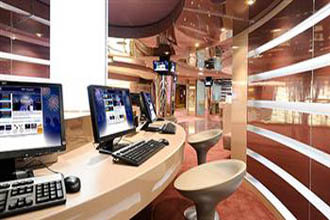 Internet service is offered to those who bring laptops. 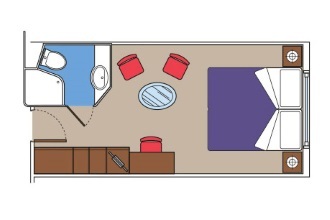 A variety of wheelchair accessible staterooms are also available. 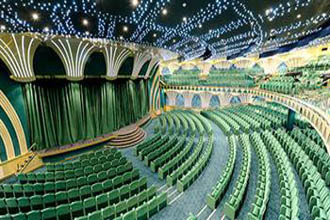 Two performances are offered at a grand 1,240-seat theater, featuring various acts, including song and dance reviews, comedians, fabulous acrobatics and much more. 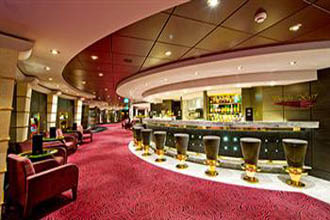 Movies are shown here throughout the day and bingo is also played here. 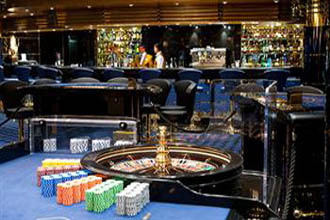 Try your luck at the many games at the huge casino or dance until dawn at the club. 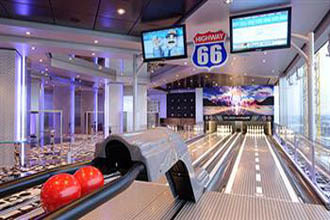 A two-lane bowling alley is a fun place for everyone in the family. 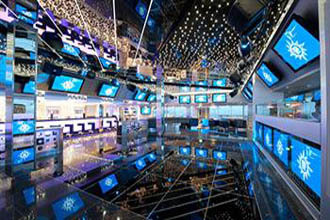 A 4D cinema with moving seats and wind effects will bring thrills to all. 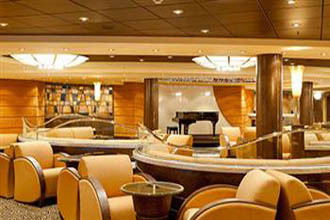 Experience the magnificent MSC Magnifica for the cruise of a lifetime. 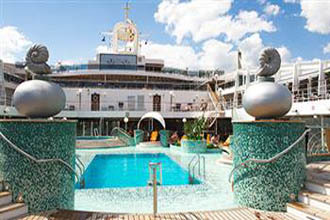 Cruise on the MSC Magnifica to worldwide destinations. 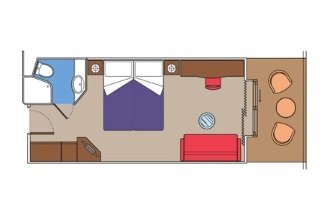 Double bed that can be converted to two single beds (on request), except cabins for guests with disabilities or reduced mobility. 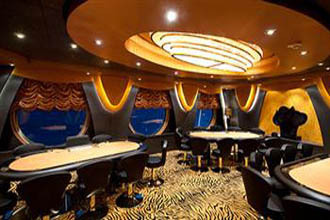 *Air conditioning, bathroom with shower, interactive TV, telephone, wireless internet access (for a fee), mini bar, safe. 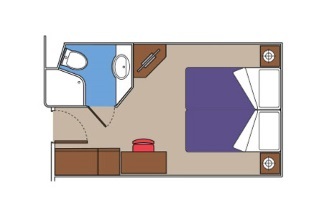 Double bed that can be converted to two single beds (on request), except cabins for guests with disabilities or reduced mobility. **Air conditioning, bathroom with shower, interactive TV, telephone, wireless internet access (for a fee), mini bar, safe. 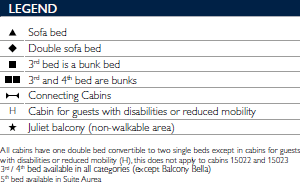 Double bed that can be converted to two single beds (on request),except cabins for guests with disabilities or reduced mobility. 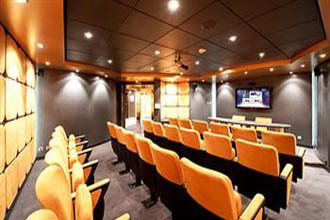 *Air conditioning, bathroom with shower, interactive TV, telephone, wireless internet access (for a fee), mini bar, safe. 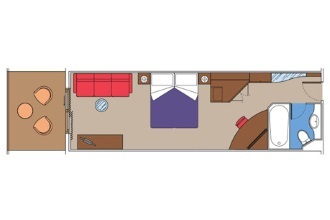 Double bed that can be converted to two single beds (on request), except cabins for guests with disabilities or reduced mobility.Air conditioning, bathroom with shower, interactive TV, telephone, wireless internet access (for a fee), mini bar, safe. Double bed that can be converted to two single beds (on request). Air conditioning, spacious wardrobe, bathroom with bathtub, interactive TV, telephone, wireless internet access (for a fee), mini bar, safe. 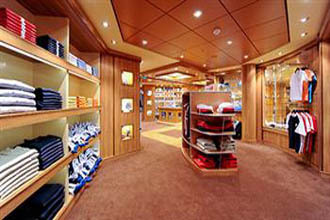 MSC Magnifica offers suites for families comprising a bedroom area and a living area with up to 5 berths. (With balcony). 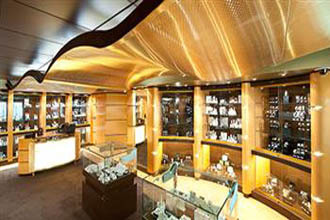 Jewellery and de luxe accessories. 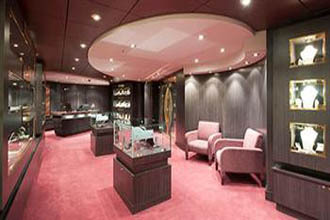 Sunglasses, watches & fashion jewellery. MSC Logo items and toys. Children outdoor pool & games area. 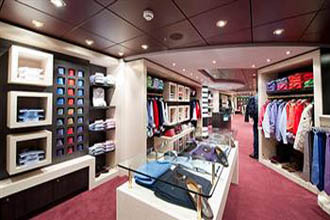 Fashion Boutiques (Men, Women and Kids). 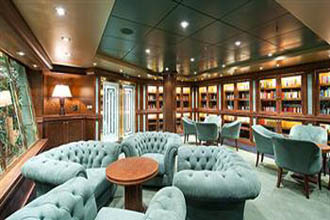 Cigar room, smokers room, spirits bar. 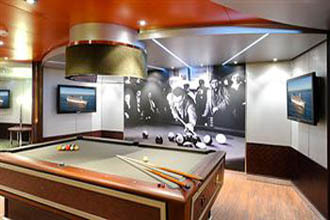 Themed sports bar, billiard table.